Collaborations at a high level have been many, including some of Canada’s foremost musicians such as James Ehnes, Jan Lisiecki, Janina Fialkowska, Anton Kuerti, Jon Kimura Parker, and Marc-André Hamelin, along with other international stars such as Joshua Bell and Metropolitan Opera singers such as Pretty Yende and Johan Botha. He has been Music Director in Nuremberg and Principal Guest Conductor of the Victoria Symphony in British Columbia and Johannesburg Philharmonic. His career has taken him to many top concert halls from America and Australia to Canada, Russia, Japan, China (Guangzhou, Shanghai, Hong Kong), Korea, South Africa, and Brazil, as well as countries in Europe such as Spain, Italy, France, Norway, Bulgaria, Italy, Sweden, and his native Germany, where he conducted the Stuttgart Radio Symphony and the Munich Philharmonic. 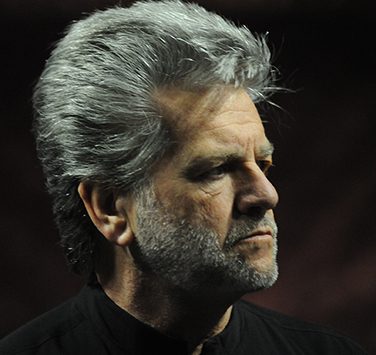 He has also conducted in festivals internationally, including the Cape Town Philharmonic Orchestra in the International Festival of the Canary Islands, the Schwetzingen Festival in Germany, the Scotia Festival in Halifax, and the Stellenbosch International Chamber Music Festival and National Arts Festival in South Africa. Gueller has made many recordings for national and international broadcast. His CD, Dancing in the Light, of works by contemporary Canadian composer, Christos Hatzis, with Symphony Nova Scotia, was released to critical acclaim. This followed a CD with South African mezzo-soprano Hanneli Rupert and the Cape Town Philharmonic Orchestra and others with the Stuttgart Radio Symphony Orchestra, German Brass and the Stuttgart Chamber Orchestra. He has also released two CDs of contemporary Canadian works by Tim Brady, which won an East Coast Music award, and orchestrated lieder by Schubert. A new CD with the Cape Town Philharmonic Orchestra and cellist Peter Martens is due for release next year.